The hotel was close enough to Tokyo station to be easy to access. We were given vouchers when we checked in for breakfast each morning. The breakfast was fine as there was plenty to pick from and it was easy to fill up for the day. The room had everything we needed. TV, desk, kettle, nightgowns and toiletries. The breakfast buffet was good. Loved the Japanese food. The bed and pillow were very comfortable. The comforter kept us warm. The room and bathroom were cleaned well and upon request. Front desk people were very helpful when we asked for directions. Hotel kept our bags until we had to leave later in the day to the airport. Front desk workers spoke minimal English which were helpful to us when we had questions. At the time we were to leave for the airport, we requested for a taxi but one of the front desk person said we had to hail for a taxi by ourselves. However, another front desk person came outside the hotel and helped us. She was excellent in providing that extra help that went beyond the call of her responsibilities. Friendly staff. Subway and convenience store nearby. 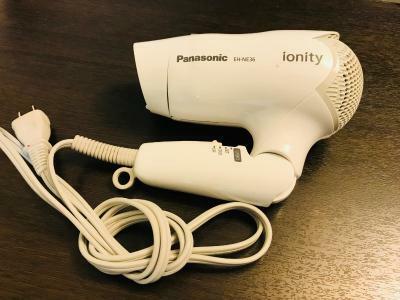 It is my favorite hotel whenever I visit Tokyo. This far, I stayed here 9 days in total. It’s affordable and near public transportation. Location very close to subway kayabacho. There’s 7-11, lawson, and family mart nearby. The location is near subway metro line...room rate is valueable. It is an affordable hotel. 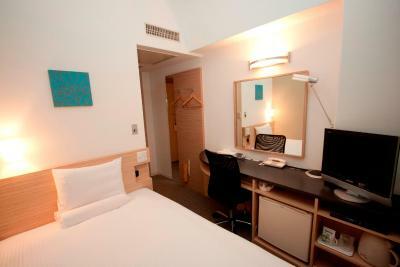 It’s great for a long stays in Tokyo. The hotel staff were helpful making dinner reservations for is in Tokyo, and the room was exactly as advertised. 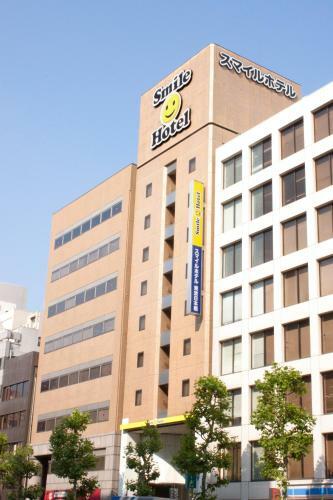 Smile Hotel Tokyo Nihonbashi This rating is a reflection of how the property compares to the industry standard when it comes to price, facilities and services available. It's based on a self-evaluation by the property. Use this rating to help choose your stay! 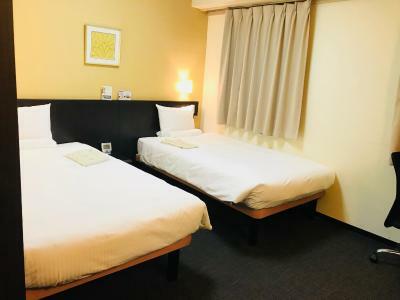 Just 350 feet from Kayabacho Subway Station, Smile Hotel Nihonbashi offers rooms with free wired internet, a tea maker and a private bathroom. There is an on-site restaurant. 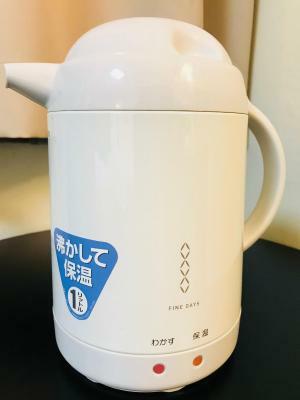 The air-conditioned rooms at Smile Hotel Tokyo Nihonbashi come with a satellite TV and an electric kettle with green tea. Slippers and a bathtub are provided. Tokyo Train Station is a 5-minute drive, and Tsukiji Fish Market is a 10-minute taxi ride. Nearby Kayabacho Station has direct subway links to Roppongi, Akihabara and Otemachi. Takashimaya Department Store is a 10-minute walk. Guests can unwind with a massage, and a coin launderette is on site. Laptops can be rented at the 24-hour front desk. Cherbourg Restaurant and Bar serves original French-inspired cuisine for lunch and dinner. A Japanese/Western breakfast buffet is available for an additional fee. Please contact the property if you wish to have breakfast. When would you like to stay at Smile Hotel Tokyo Nihonbashi? This air-conditioned room comes equipped with a satellite TV and green-tea maker. Private bathroom includes slippers and a bathtub. Free wired internet access is available. 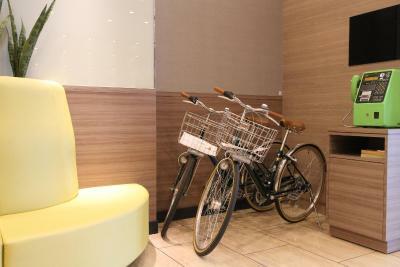 Public parking is available at a location nearby (reservation is not needed) and costs JPY 2500 per day. 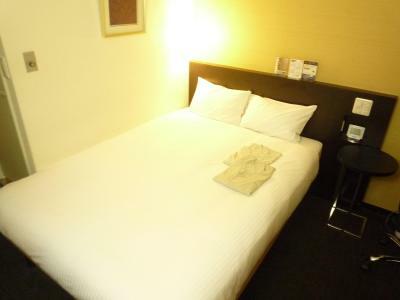 Features a semi double bed (4-foot wide). This air-conditioned room comes equipped with a satellite TV and green-tea maker. Private bathroom includes slippers and a bathtub. Free wired internet access is available. Area Info – This neighborhood is a great choice for travelers interested in cleanliness, city walks and food – Check location Great location - show map Guests loved walking around the neighborhood! 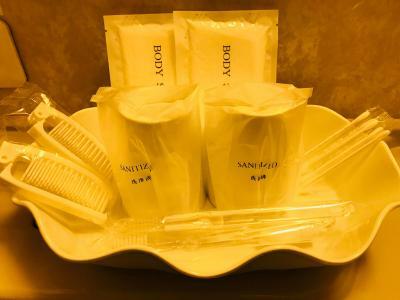 House Rules Smile Hotel Tokyo Nihonbashi takes special requests – add in the next step! 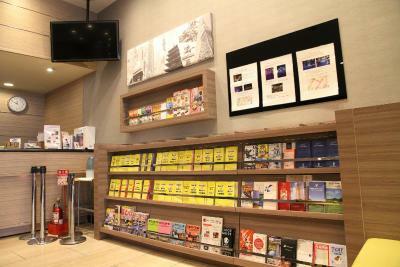 Smile Hotel Tokyo Nihonbashi accepts these cards and reserves the right to temporarily hold an amount prior to arrival. Directions to hotel: From Exit 1 of Kayabacho Subway Station, turn around and walk straight for 200 feet. The hotel is on the right. Wi-fi was terrible and the staff was not able to speak English even for simple queries. Super comfy bed. Bathroom / bedroom super clean with all the accessories needed. The stairs at the front of the hotel. I wish they had a ramp going up for people with heavy luggage. The only thing that bothered me was the heating vent which needs further cleaning as I can already see black dust accumulating on it which is maybe the reason why the heater is only 1 directional when turned on. Otherwise, my stay with Smile Hotel was fabulous. I love the fact that the hotel is near the metro lines about 1-2 minute walk. It is also about 10 min. walk to Hachobori JR line if you are using a JR pass which is just 1 stop to Tokyo station. 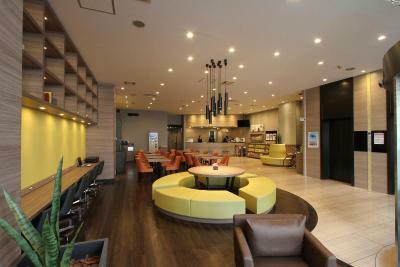 The hotel is very near to some restaurants and near Lawson, 7 eleven and Family Mart. The room was ok for me even though it was a bit small. I love how clean the room is and how friendly the staff was. The bed and the pillows were really comfortable and I love the fact that they have a vending machine on the floor which I stayed in which was really excellent. Good location, close to subway. Went to the wrong Smile hotel after a very long night. My mistake, but a warning should be issued to all customers. Conveniently close to a metro station. Staff was very friendly and accommodating. Definitely would go back there. Location is awesome!!! Two JR stations allow you to get anywhere. There was no breakfast available. Rooms were very small but quite standard size in Japan.